Simply put, the HyperX Cloud Revolver Gaming Headset from Kingston is one of the best headsets I have had the opportunity to experience. It not only checks off a bunch of the normal boxes I normally look for in a headset, but manages to surprise or surpass my expectations in other areas as well. I mean, at the core of any headset, the foremost thing I am interested in is how it sounds. There is a lot of nuance and personal perspective in answering that question, but there are little things to take note of as well as some of the more important aspects. Little things might include: How snug around the ears are the cups, does the material help to keep ambient sound out, do they do a good job of keeping the sound in? Those are small, external items that the HyperX Cloud Revolver Gaming Headset does a great job with. Little things that I sometimes do not consider right away are easily accessible volume and mute controls and how well they work (answer: really well). As for the sound generation itself, and the drivers managed to deliver not just robust rumbling and booming associated with the growl of an animal, an explosion or an earthquake. 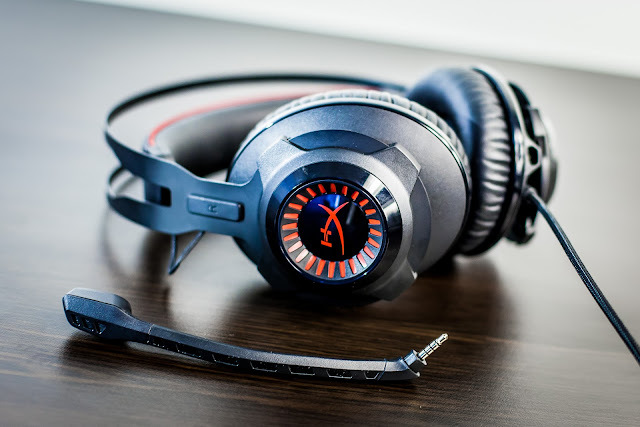 Do not get me wrong - the HyperX Cloud Revolver delivers those in spades, but too often games focus on these kinds of bass-heavy effects to really help sell a moment or scene playing out. While I can appreciate quality bass in the headset, these are often just moments. I need to see the headset deliver more, such as clear dialogue or music that can run a range of different tones and pitches. Perhaps the greatest test for any headset is how well it handles the mingling of these disparate elements. Can you understand what a person is saying when there is a rumbling quake in the background? Does the music still manage to compliment what is happening on the screen despite the sound of bullets or nearby footfalls? 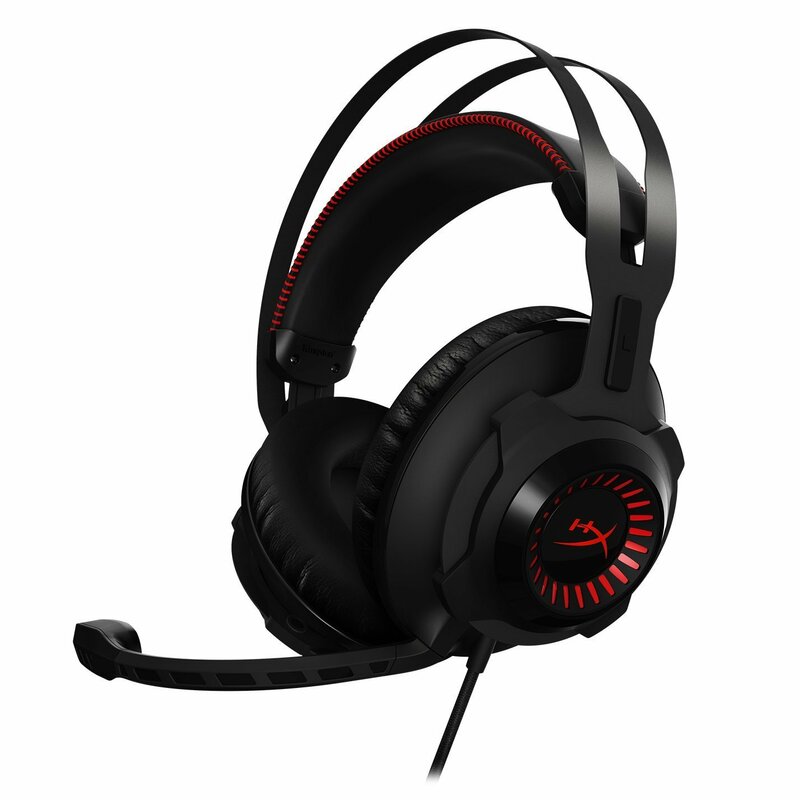 The HyperX Cloud Revolver delivers for all all of these scenarios and more, making it a quality headset that is designed with gaming in mind, but equally suitable for watching a movie or listening to music as well. This leads into one of my favourite design features, which is the detachable microphone. I had concerns that the microphone might prove less-than-sturdy due to its detachable design, but when I have it engaged it stays in snug and delivers a quality experience for the members of my gaming party. That being said, I play my games without using a microphone more often than not, and the ability to remove the microphone and simply use these as headphones and not a headset is a huge perk from my standpoint. It helps to make the headset incredibly versatile, because the HyperX Cloud Revolver Gaming Headset does not look out of place going with you on a bus ride when hooked up to a Vita or an MP3 player. Staying with the topic of versatility, I used these primarily with my PC, but you have other options as well. I listed some of the obvious ones above, but this headset also works with the PlayStation 4, and with the right controller/adaptor, an Xbox One as well. Perhaps more than anything, this versatility in how the headset can be used as well as in the audio quality provided is what helps to separate the HyperX Cloud Revolver Gaming Headset from most of its peers. However, there are still a handful of other items to take note of when discussing this particular headset. For one, I absolutely love the one-size-fits-all suspension headband. I have seen this feature on a handful of other headsets, and I was thrilled to see it with the Revolver. This makes it very easy for my son and I to simply switch spots and not have to fiddle with a manually adjusting headband. I also find that the way these support the weight across the top of my head allows me to wear them for hours without any discomfort - this is a light headset. Speaking of comfort, the memory foam used on the ear cups is very comfortable, and I also appreciated the width of the cup openings themselves. I am a big guy with big ears and these fit comfortably without any of that slight resting-on/pinching against my ears. This provides superior comfort as well as creating a nice noise reducing seal around my ears. Last and probably least, just the overall appearance is pleasing. I do not put much stock in how my headset looks. If it is working well and comfortable they should be on my head where I cannot see them anyway. That being said, red and black is my favourite colour combination and these look really sharp. The frame for the headband looks thin, but proves quite durable as it is made from steel. Finally, the braided cable helps to keep things from knotting up and getting tangled or pinched. Related reading: Matt's also reviewed this headset, and loved it just as much. Click on over for a second opinion. 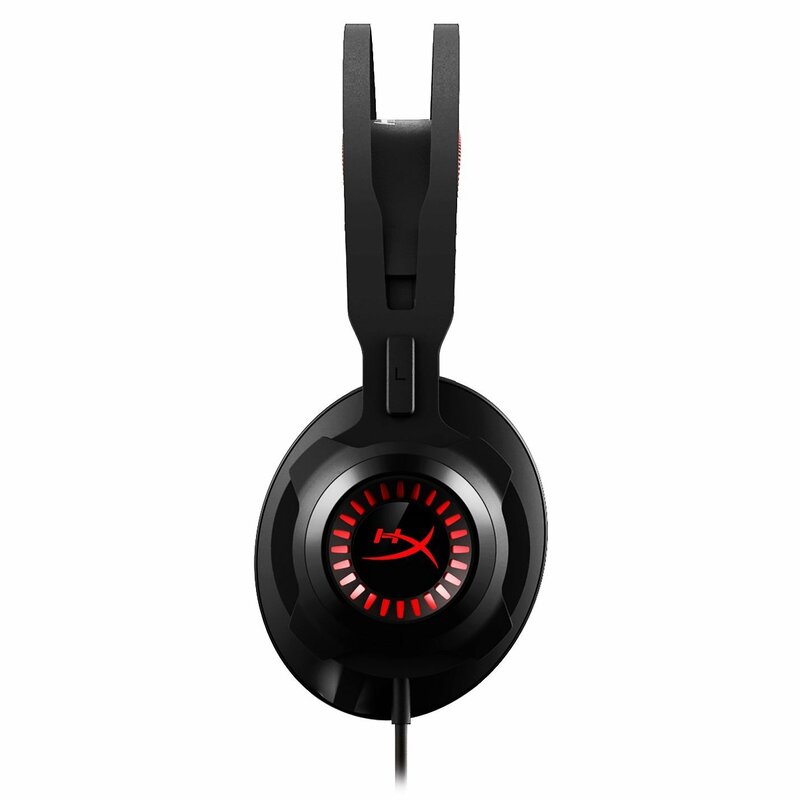 From start to finish the HyperX Cloud Revolver Gaming Headset is simply a quality headset. It takes care of all the big points I normally look for in a headset, while still managing to provide plenty of smaller touches that I appreciated as well. It stacks up with some other headsets that cost twice what this one does, making it an easy one to recommend.